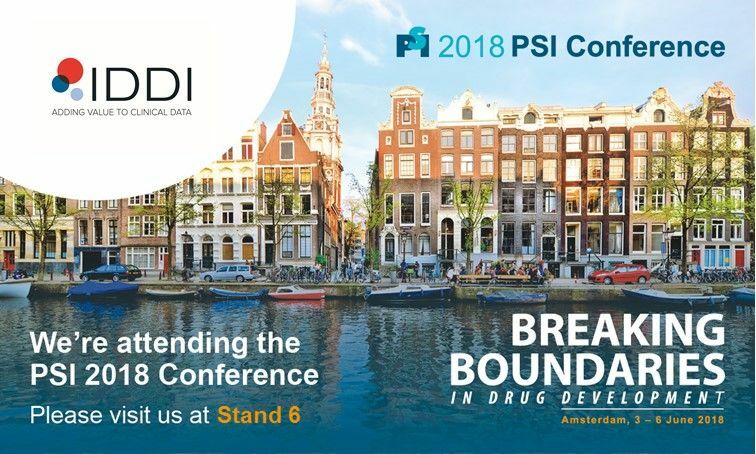 IDDI exhibitor at the PSI Conference 2018. Visit us at booth 6! Join us for this conference focused on clinical biostatistics: The sessions will include data transparency, the Asterix project in rare diseases, application and implementation of methodologies in statistics, missing data, study design role play, regulatory town hall and many more, with speakers from industry, academia and regulatory agencies. It is a must of all statisticians. At IDDI, biostatistics remains an integral part of our services and solutions. Statistics is at the heart of every clinical study—driving study design, protocol development, clinical data collection, analysis and reporting. From study inception to delivery of the Clinical Study Report, our skilled biostatisticians are involved to increase efficiencies at every phase of clinical drug development. Using optimal clinical trial designs, best-practice randomization methods, regular checks of the randomization balance, data quality assessment, eCRF review, and timely statistical analysis, we deliver clinical trial results that are scientifically accurate, validated and reproducible. Catherine Indekeu will be happy to meet you at Booth 6!